Sendi Estrada is a proud first generation college student whose passionate about student success. She earned her Bachelor of Arts from Colorado College and her Master’s in Higher Education from the University of Denver. 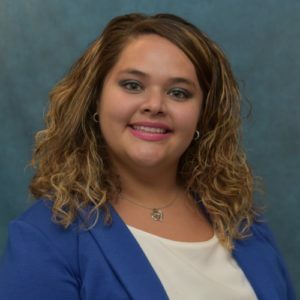 As the Assistant Director of the STEM Center for Education and Engagement at Communities to Build Active STEM Engagement she supports historically underrepresented students in navigating a STEM degree through building community, professional development, experiential education, and community outreach. She is also a co-founder of the First Generation Faculty and Staff Mentor Program at CSU-Pueblo where she supports first generation college students feel welcomed and serves as a resource. In her spare time she enjoys spending time with her toddler, her family and her dog outdoors.